The Swirl With Ball Water Feature is a work of modern art with a swirling column leading down to a curved recessed area allowing water to flow beautifully down to the basin beneath. A glimmering glass ball is positioned at the top to add beauty to the design with LED light under the glass ball to illuminate it. The water spins the ball at the top and then flows down the feature and into the reservior below. 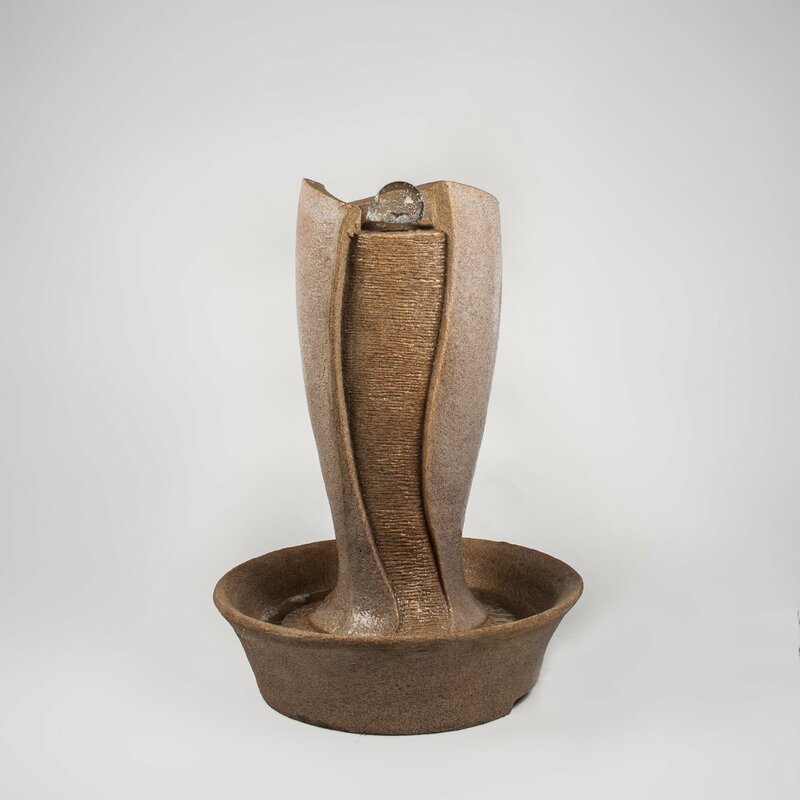 The water feature is lightweight, made from fibreglass and includes a pump and LED light.